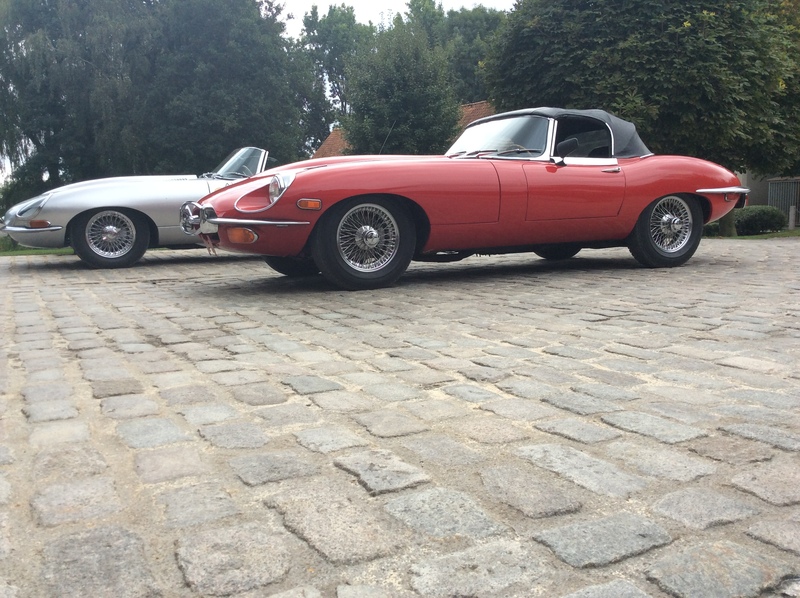 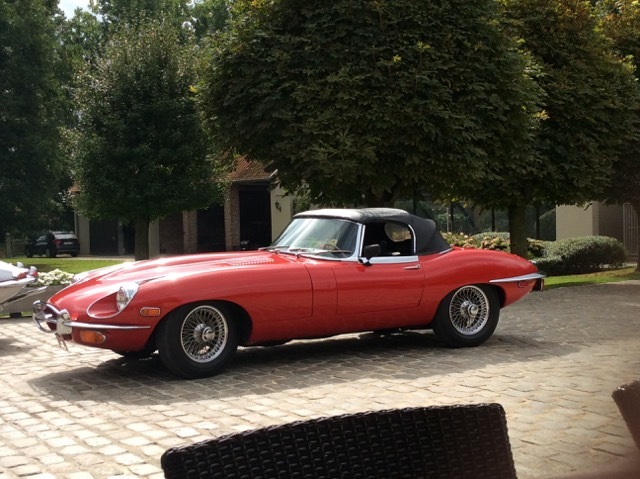 Another happy customer, Claude Damien’s in Belgium E-Type leaving Ontario and arriving safely at Claude’s home in Belgium. E Type in Belgium. 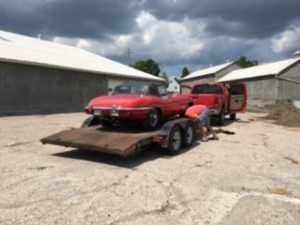 Car on float in Ontario, heading for shipping.